Another race in the books and another goal accomplished! 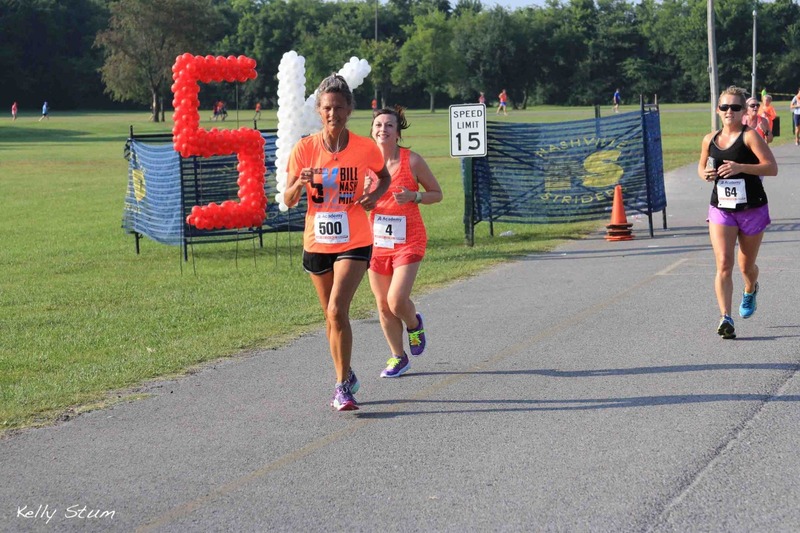 Despite this being August in Tennessee (aka, The Sun), I had set this as my goal race for my sub-30 attempt. Luckily, it had been fairly mild weather-wise for the last few weeks, so I hoped race day wouldn’t be too bad. A Goal: Under 30 minutes! B Goal: 31:24 or faster (a PR). C Goal: Don’t drink margaritas the night before and be dehydrated the whole run. Amanda and I got up at 6 am to get ready. She lives only about 15 minutes from where the race was being held, so we made it in plenty of time. I had picked up our bibs the night before, but the packs didn’t include our timing chips, so we grabbed those when we arrived. The weather was warm but not terrible. In the lower 70s with 100% humidity, so around the same or maybe a little warmer than my July 4th race. Definitely not as bad as it could have been for an August race in the south! After a very light warmup, it was soon time to start. I said farewell to Amanda, who was pushing her son Gavin in the stroller and had to start in the back. I lined up closer to the front, on the right side. The race started promptly at 7:30. Perhaps I started a little too close to the front because everyone soon zoomed past me, despite the fact that I was averaging about an 8:30 pace at this point, meaning I started a little too fast. I tried to back off that speed, but still ended up doing a sub-9 mile. I was still maintaining the first mile’s pace for much of the start of the second mile, but I finally came upon a water stop that I walked through and (thankfully) slowed me down a little, as I knew I was going to crash and burn if I kept going at that speed. We were on an out-and-back portion of the course for this mile, so I waved to Amanda as I saw her pass by in the other direction. You should’ve seen the photo taken 3 seconds before this. Knowing that I only had a mile or so to go is really the only thing that kept me going on this mile. There was another water station, which I walked through again. I told myself I could take one last walk break about a quarter mile before the finish, just to collect my breath and my bearings. So after that quick 30 second break, I was ready to sprint it in. There was actually quite a bit of crowd support on this race, which I appreciated. At the finish line, there was a woman screaming, “Kick it!” And that I did, pulling out a sub-8 pace for the final stretch. The race clock showing a time starting with “29” may have also helped. I did it! I DID IT! After my timer was cut off, I walked around to cool down and just kept repeating, “I did it!” to myself. I couldn’t believe it. I was so incredulous after coming to terms with the realization that I probably wouldn’t get a sub-30. I cheered Amanda on as she ran in, then we headed over to the food. Amanda’s “I hate running” shirt got so many compliments, haha! This was a very well-run race! I have no complaints. 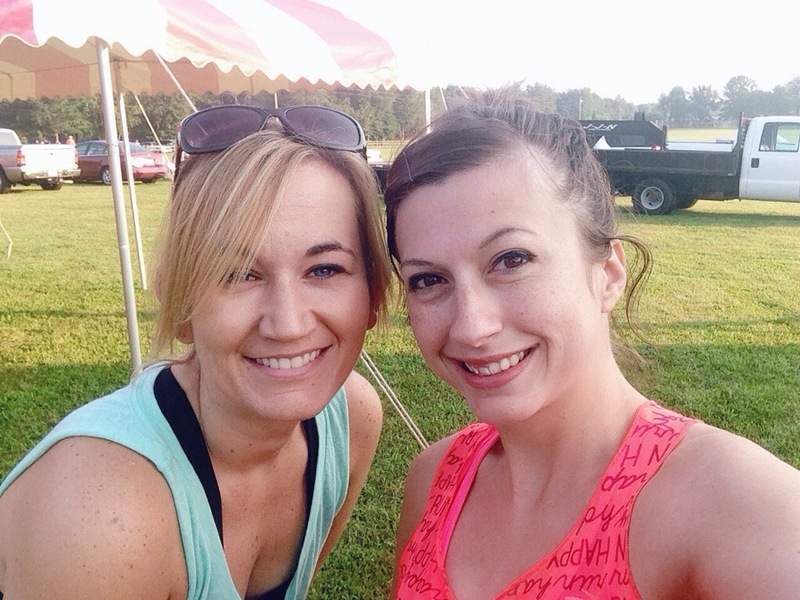 At the finish line, the food was great: bananas, doughnut holes (mmmm…), PIZZA! Since I waited for Amanda to finish before getting food, I can attest that there was plenty left, even for those coming in towards the end. Shaved ice was also being handed out. The shirts were actually tech shirts, which is unusual for a $20 race. We also got lots of little samples in our bags, including Advil, deodorant, and Clif bars! And the course was so so flat, an anomaly around here. 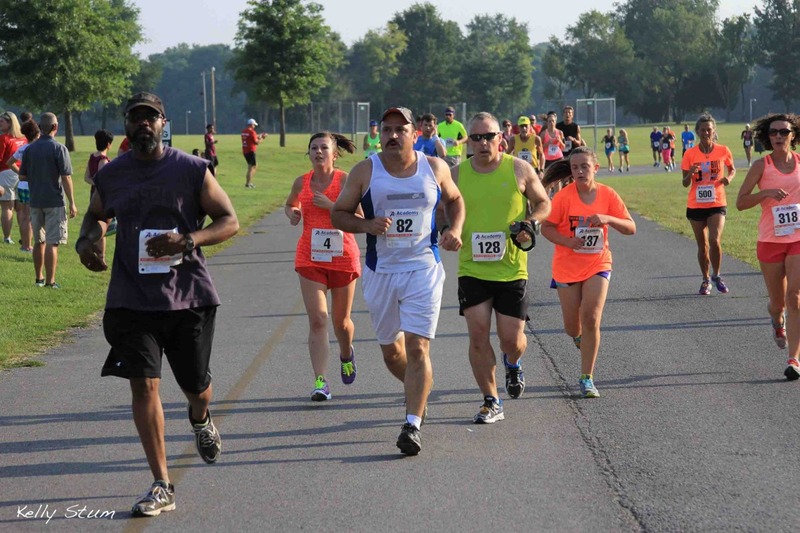 There were parts that were shaded, maybe about 25% of the course, which is always welcome in the August heat. I did well with hydration. I had been drinking at least 72 ounces of water per day for the last two weeks, and I did not drink any alcohol the night before the race. I was thankful for the water stops, but I never at any point felt like I had to walk because I needed water. Here’s my half mile splits. As you can see, I did okay except I ran the first mile way too fast. 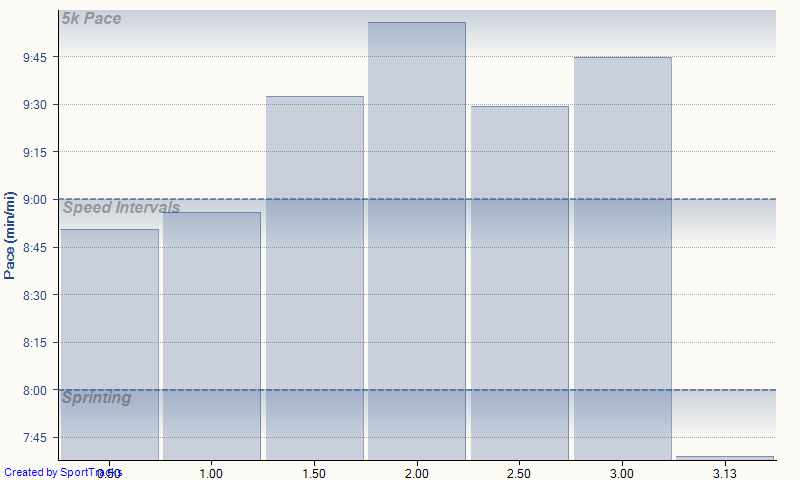 It was six seconds off from being my fastest mile ever, and my fastest mile ever was entirely downhill. I think it was because of this that I had to take that last non-water walking break right before the end. I just wore myself out a little. My time probably evened out overall, but I much prefer to go out a little easier and negative split than start out too fast and have to reel it in on the subsequent miles. 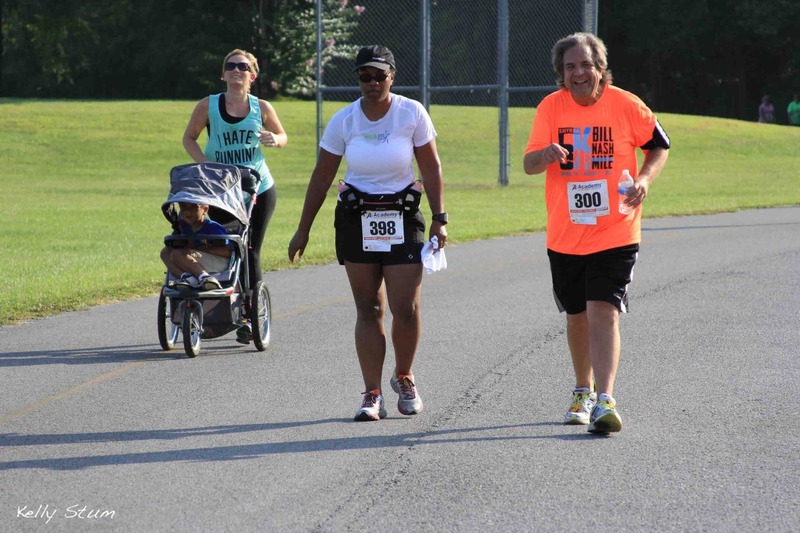 This entry was posted in Race and tagged 5k, running with friends, smyrna parks 5k. Bookmark the permalink.